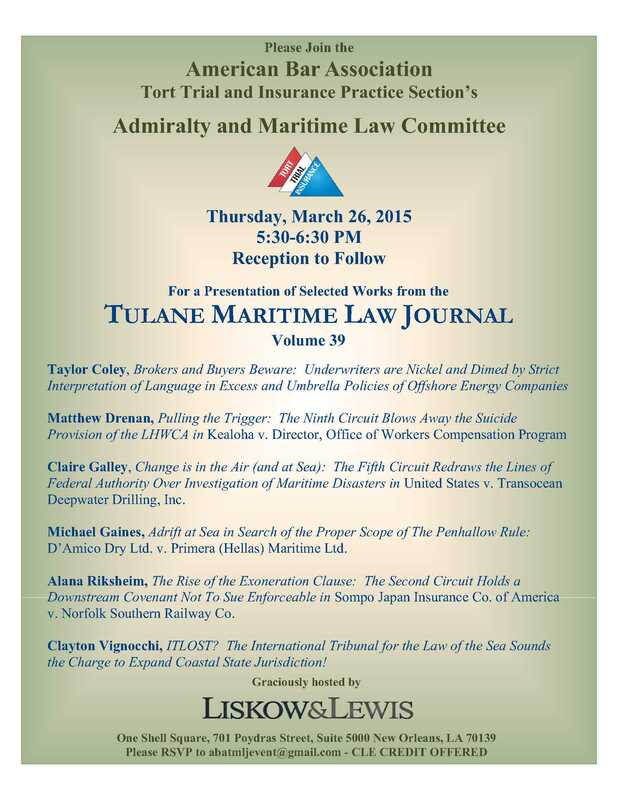 The firm’s Maritime, Oilfield and Insurance section will host a presentation of selected works from Volume 39 of the Tulane Maritime Law Journal on March 26 from 5:00 p.m.–6:00 p.m. The Tulane Maritime Law Journal, in conjunction with the Admiralty & Maritime Law Committee, Tort Trial and Insurance Practice Section of the American Bar Association, presents this event twice per year. A recording of the presentations will be available for viewing following the event.